Prolific from an early age with six album releases to his name already, it was Nottingham born and now London based Matt Cutler’s energetic 2010 LP, ‘Emerald Fantasy Tracks’ which truly put him on the artistic map. The accolades amassed from there on, Lone’s last two long-players – the sweet as candy ‘Galaxy Garden’ and dusty hip-house hitter ‘Reality Testing’ – catching the ear of the critics, whilst his high profile remixes, including Radiohead, Disclosure, Friendly Fires, Nathan Fake, TEED, Underworld, Steffi and Midland spread his sound to the masses. Whilst Lone’s sampled and swinging beats speak for themselves, it can’t have hurt to be vindicated by signing with the prestigious R&S Records, where house tracks go to become house classics. This was exactly the fate reserved for his 2013 R&S release ‘Airglow Fires’, one of his best-loved releases to date which captures everything we love about the old school house revival of the last few years and was quickly filed under ‘classic’ in the proverbial music shelves of all. For his freshest release, the intense LP ‘Levitate’, Lone has dragged a collection of feverish breakbeats out of hibernation to create a short-and-sweet 34-minute soundscape that was born in the hallucinatory depths of an actual fever, the breakneck psychedelic journey described by Cutler himself as ‘an intense blast’. The golden imperfections of all Lone tracks have transported many a bedroom listener to aural planets unknown, but the experience is completed by seeing Lone interpret his own music in the flesh. His live set weaves the best and brightest of his entire discography into an audio-visual tapestry, gilded by visual artist Konx-om-Pax and live drummer Chris Boot. 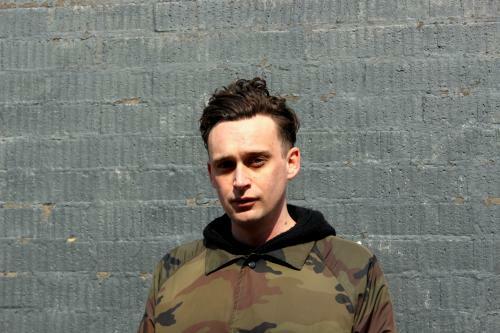 As a house, soul, hip hop and techno fan, you can also find Lone throwing down the best of all four during DJ sets – his Magicwire x NTS residency a good indication of the kind of heat you can expect when he gets behind the booth. Cutler has focused his wandering creative mind into a rapidly growing discography which is vibrant, surprising and – like the crackle of an old vinyl – intensely evocative. No matter how you choose to experience it, Lone’s contribution to music is unique.